The next morning woke up early... not that early la but 6.30am coz going for QingMing. It's Chinese traditional festival . Qingming is Tomb-Sweeping Day. This year it's on 5th of April but can do it 2 weeks early. It's my first time going for this. The night before, Papa told me a few "Do Not". DO NOT speak nonsense at graveyard. DO NOT simply pick up anything and bring home. DO NOT answer when hear people call my name. Guess, this is the only time I can ignore when I hear my name being called. And it's the only time I get to "play" with fire. I was "in-charge" of burning offering to my ancestors. After finish the offering, it's time for us to cari makan . 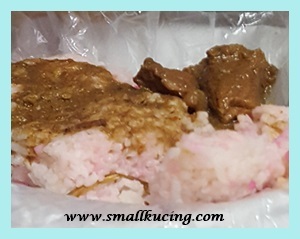 Went and bought delicious "roti paung" and Nasi Minyak for breakfast. 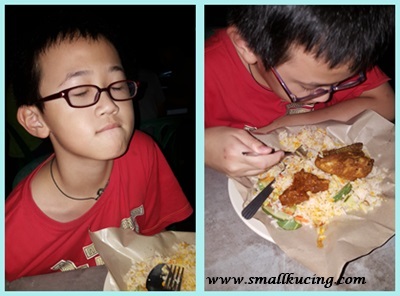 Previously I did not like Nasi Minyak. But this time, am crazy about Nasi Minyak. Day and night also want to eat that. That day I had Nasi Minyak for breakfast , lunch and dinner! Dinner was with Papa's friend. 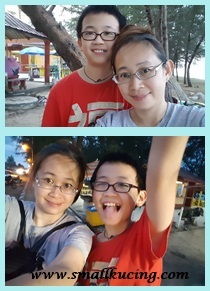 We went somewhere around Marang. Service was slow . Thus, I have time to play with my "new"/inherited phone. Finally food was served. The fried prawns were cold but the Keropok Lekor and the fried sotong was good. Still not satisfied. I suggested we go have second round dinner at Warung Katana. The Keropok Lekor there was yummy. Papa said okay and off we went. Yahoo! Stop by Warung NorAzila to tapau some nasi minyak as Papa's friend have not eaten that for long time. I also want la. 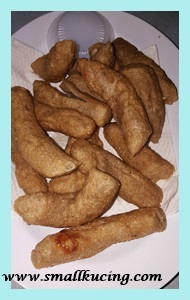 And of course the Keropok lekor. Gone in a blink. Next day its time to go home lo. 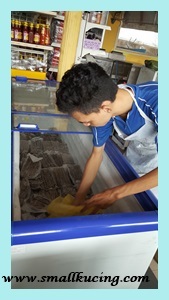 But before that, must stop at Gerai Warisan Losong to buy some vacuum packed keropok lekor to bring home. 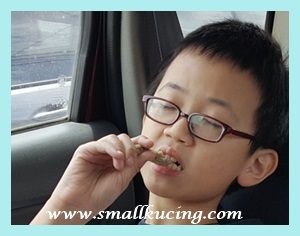 And some to eat in the car... Hey... those things behind there not all mine ah... some are "Courier Service" things. Hey! They have expanded. 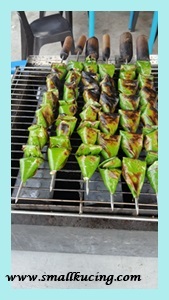 They were selling Sata/Satar too. It's a traditional food. Fish paste mixed with some birds eyes chili and dunno what then grill. 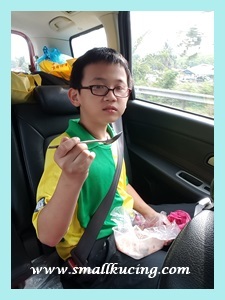 Mamarazzi wanted to buy fish from Temerloh . So we stopped there for lunch. 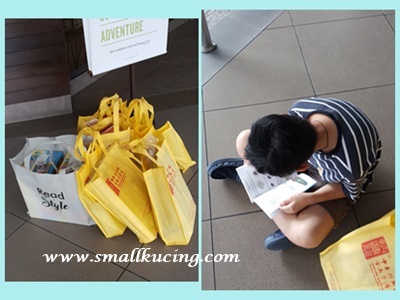 This time we went to a new shop instead of to the Esplanade. 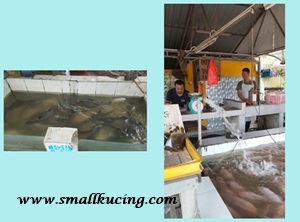 We went to Go Bang Maju Patin Tempoyak. It's a self service type of restaurant. Very organised. There is a counter where customer can go and take their food. 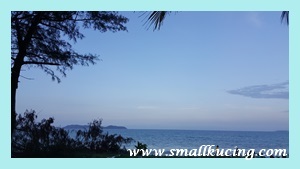 Each dish is put into small individual plate and bowls and price is stated clearly there. I only took fried chicken with rice. But Papa and Mamarazzi had the Ikan Patin with tempoyak. Wah... Mamarazzi said super spicy but nice. Can't stop eating. Spicy ah... had to cool down the tongue with an ice cream or two. As we start journey again, I was hungry again. Found the nasi minyak that Mamarazzi packed for me in the morning. Second round of lunch. Tummy full...happy already... can zzz now. Can continue our journey home. 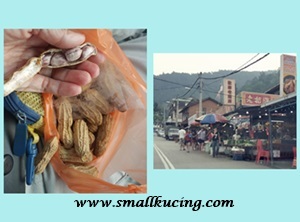 Stop by Bukit Tinggi to buy steamed peanuts and some raw peanuts. Don't know why the peanuts here taste nicer. Arrived home around 8pm. Traffic was rather heavy. The dog was super happy to come home after a few days in boarding. Tail wagging non-stop. I thought we were done with March but it seems not. Mamarazzi was tempted by members in FB to go for Popular sale at Viva. She went to Popular Starling and Borders sale without me. So when I heard she wanna go to Popular sale at Viva, die die I also wanna follow. On the way there, stopped and refuel. A friend text her saying that COSTA COFFEE is offering free coffee at SHELL petrol station. Ngum ngum we were there. Just nice. I managed to get a cup of free chocolate drink for myself and one iced latte for Papa. Hey, the Iced Chocolate drink taste very good leh. Arrived at Viva, we split up. I went hunting for my books and Mamarazzi went hunting for my books(LOL). 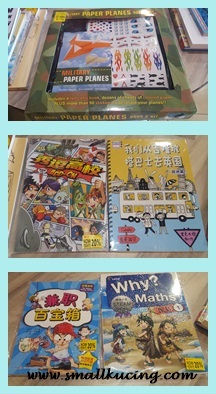 I found the books I wanted too and some stationery. Some have 90% discount tags. Here Mamarazzi managed to find a few books for herself. Choice not as good as Starling but better than when compared to previous year , zero. Mamarazzi didn't expect to be able to get that many good books but we end up with a few bags full. Not bad ..not bad at all. Didn't bring enough recycle bags. Had to buy a recycle bag from them as they don't have plastic bags nor box. 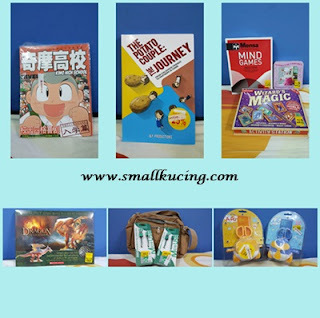 Can't wait for dig into my new books. That day, we also managed to get Secret Recipe "buy 2 Free 1" offer. 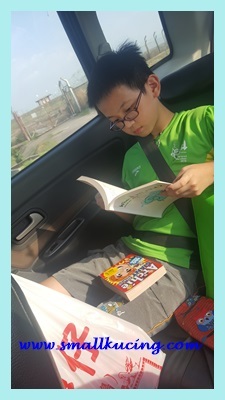 Nice to have cake while reading. The next day, I went for a trip. 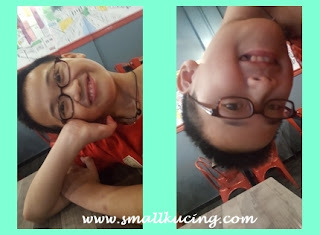 We visited Yakult Factory, Seremban Cultural Museum and play at Funtopia. It was super duper fun. 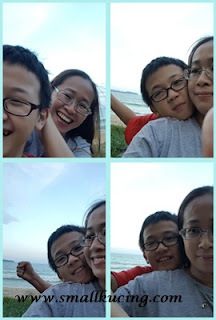 Didn't snap any photos coz Mamarazzi don't let me bring camera. the photos are from my teacher. Came back from trip, I was hyper. Can't sleep but next morning had to wake up at 4.30am. Yup... off we went. Back to hometown we go. 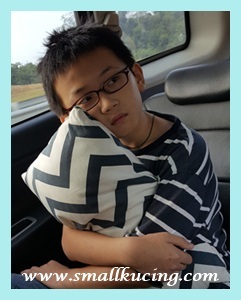 Brought along a pillow so that I can sleep in the car. It's a 6 hours journey but in between we did stopped to have breakfast with our friends. 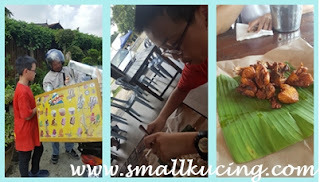 Forgotten to snap photos of the nice nasi lemak and nasi minyak that we had. Stopped awhile to visit Papa's colleague and saw some oil palm trees. 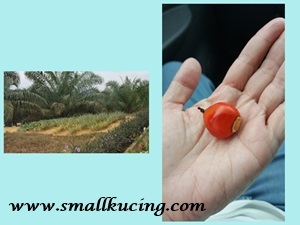 Picked up and oil palm seed. 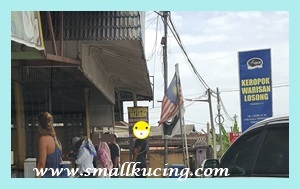 We finally reached our destination around 1pm.... but 1st stop....Losong... to buy yummy Keropok Lekor from Keropok Warisan Losong Shop. Wah... this shop is getting famous leh. Foreigners also know to come and eat here. That night we went to Warung Katana for dinner. No photos coz was too dark and hungry. 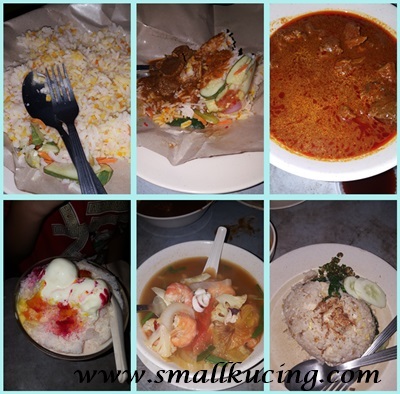 We had fried Sotong(squid), fried keropok Lekor, grilled fish, vegetables, noodle, ABC , drinks and it cost RM77 only. Shall I continue this post? I think better not... need to break it into 2 posts as many more photos to come. So see you again soon. March starts with nursery visits. 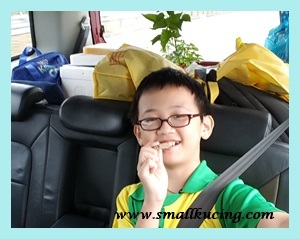 I followed Mamarazzi and her friends for plant hunting at Sg Buloh. Loads of plants selling at a very cheap price there. Very hot day. Yea... we are having crazy weather this month. Temperature goes up to 35 °C . Sweating like mad. Oh ya.. I've got a new bicycle. 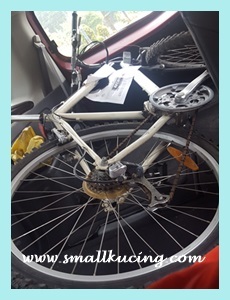 Thank you very much Uncle Tan for the bicycle. Now I can zoom here and there liao. Our car got fitted with RFID liao. Now it's still trial period, so it's free. Very fast and convenient. So far so good. 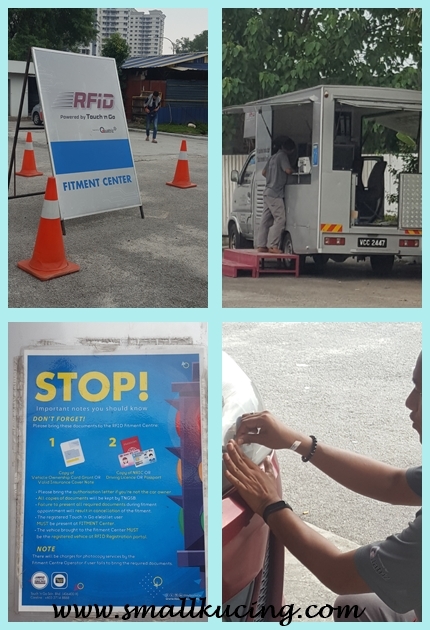 Those who have not apply for RFID yet, better hurry. Heard that this is going to replace Smart Tag. Not sure if it is true. Last Friday Mamarazzi went nuts ... she went to TWO books sale WITHOUT me!! How can!!!???? She went for the Popular Clearance sale at Starling Mall. She was happy with it. 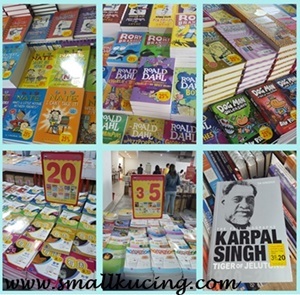 Plenty of good condition books as compared to last year sale at Viva. ....but but but... that was till she saw in FB the spread offered at VIVA... wah.... seems to be better than Starling wor. 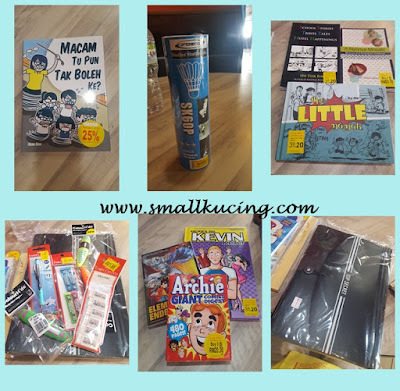 More RM20 for 5 books there than at Starling. Nevertheless, she managed to get these for me. 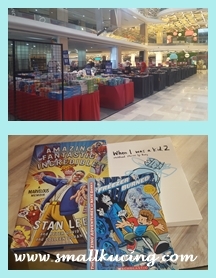 Some stationery and some comics for me. Some Chinese books for me. She had to ask the staffs there to translate since I was not there to help. Huhuhu... see! See! See! that's the result of not bringing me along. Surprisingly, she managed to get some books for herself/ She had stopped buying books for herself for sometime. She said she is looking forward to read the book about Chin Peng. I have no idea who he is. Some more Papa and Mamarazzi went to eat Non-halal Banana Leaf rice without me. Yea... you read correctly. It's non-halal as they offered pork in their menu. Papa ordered wild boar curry. 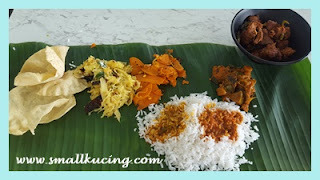 Mamarazzi said she still preferred the good old style Banana Leaf Rice instead of this. After re-charged her energy, she went for second books said pulak. It was Borders Sale at Evolve Concept Mall. Actually she was looking for more FIXI books but can't seems to find any. Managed to dig up 3 books. Offer not as attractive as Popular sale. Came home and the 2 combs of Banana that Uncle Eric gave had ripen. The next day Mamarazzi went and fried banana for us to eat. Yipee... so nice to eat. Not like the ones bought from stall. 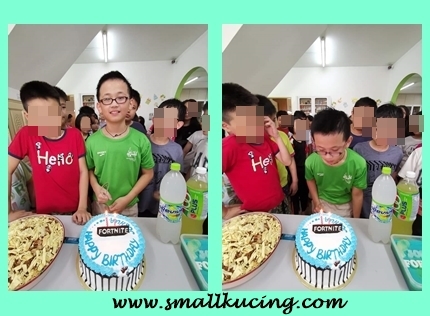 Celebrated my birthday early at tuition center with my friends. 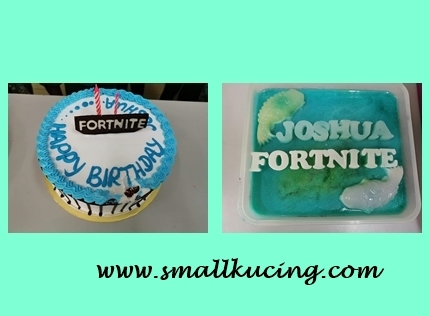 I wanted a FORTNITE cake but the cake house dunno how to make for Ice Cream Cake. 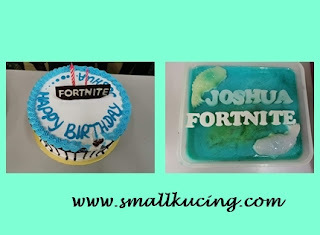 So in the end Mamarazzi just told them to write the word Fortnite on a piece of Chocolate. She also prepared a layered jelly for me. It looks like a cake. 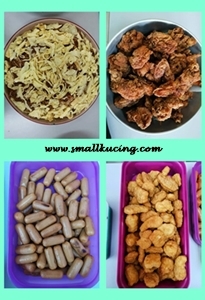 Some of the food prepared ....wah.... too much food too much food... teacher said keep the Jelly for next day teatime la. 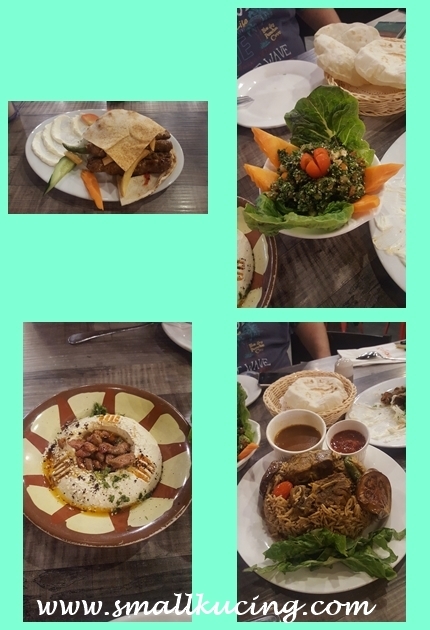 The next day was Papa's birthday and I treated him to Arab and Syrian Cuisine at Mozer's Bukit Jelutong. 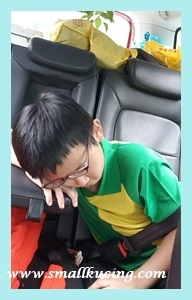 Then got stuck on horrible Friday traffic jam... how ah? 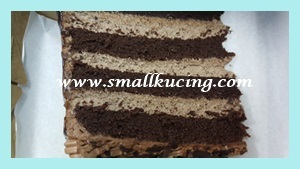 detour to have a piece of cake la. Treated Papa with a piece of cake and of course I also ordered one for myself too. Next morning woke up super-duper early. It's my actual birthday and coincidentally it's KIDZANIA's 7th birthday too. 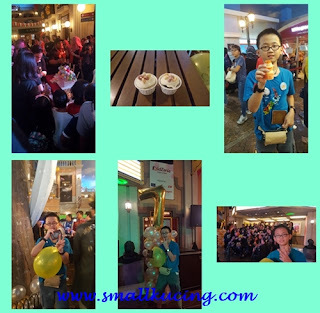 I received a free ticket from Kidzania KL. See the special button? Birthday boys and girls gets to wear that. Everywhere I go, the staff wish me a Happy Birthday. Now expert already. Immediately went to McDonald to work and got a Happy Meal. Yea... Mamarazzi too stingy to buy food there. Hey! now the happy meal comes with fries!. Previous, they only give burger. After settling my meal, I got started with "jobs" hunting. Then around noon, the "PARTY" started. This year celebration seems to be a bit "quiet". Got two cupcakes. One for Mamarazzi and one for myself. Halfway "playing", we bump into a friend and his mom. And off I went with my friend while Mamarazzi and his mom went to the Parent Lounge to rest. On and off we went and check in with moms. We play till closing time. Earned a lot of Kidzo(Kidzania currency). But I didn't see anything that I want to buy. So gave out most of the Kidzo to others. When playing I didn't feel hungry at all. Mamarazzi kept asking me to drink water. 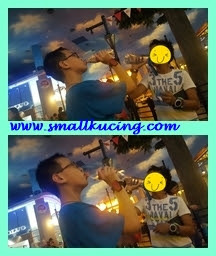 Drink drink drink but don't feel like going to the washroom at all. But after playing.... I was FAMISH(yeah...with capital letters and all). Papa treated me to Sushi Mentai.I ate more than 10 plates of sushi. YUMMY!!! Zonked out during the journey home. This year birthday have been GREAT.